Maria Montessori's work and thinking form a unique legacy to current educational thinking and practice. 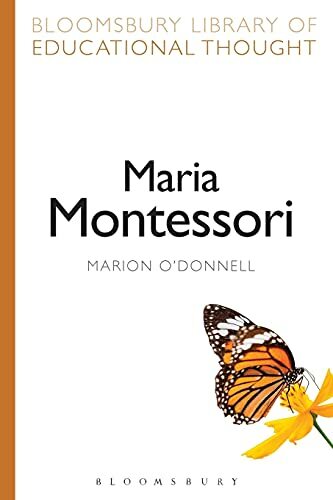 In this text, Marion O'Donnell explores the key themes of her philosophy of education and explores the relevance of Montessori practices today. In a thorough survey and synthesis of Montessori's thinking and work, this text examines the key aspects of Montessori education: child development; the learning environment; the role of the teacher; the role of the learner and parental involvement. Within each key aspect, the author considers the implications for Montessori education and the views of critics and supporters, demonstrating their relevance to the demands of an education system within today's modern society. Marion O'Donnell is a Montessori World Education Institute (Australia) Tutor, Workshop Lecturer and Examiner. She has worked as a teacher in Scotland, Canada and Australia. She has also lectured at the University of Technology, Queensland, Australia and has been a researcher at the University of Queensland, Australia.